TSR Property Solutions has developed and implemented strategies for small investments through to federally funded developments. With a drive to deliver quality results, TSR Property Solutions has experience across all aspects of residential development from strategies, land acquisition, construction methodology, stakeholder management and engagement, through to project sales and marketing. We believe in tailoring specific solutions for each individual project because the industry standard of a ‘one size fits all’ approach does not deliver the best outcomes for our clients. To find out how we can tailor a solution to your next project get in touch with us today. As the need for affordable & social housing increases, TSR Property Solutions is collaborating with key stakeholders to provide both development & construction solutions to the growing market. At TSR Property Solutions, we are prioritising this as we understand the greater problems, the demand, and the potential solutions that are required to meet the current situation. This means going above just considering the commercial outcomes, but also considering the long term social rewards. All with the intention to deliver housing solutions for those that require it most. Tamika and the team at TSR Property Solutions made the daunting process of dealing with builders a much simpler process. She presented a third party who had our best interest at heart & wasn’t single minded in presenting a feasible solution. TSR managed the tendering process from construction through to site. They got the job done on time and on budget whilst keeping our builder accountable throughout the process and identifying areas of risk & mitigating these. Areas that typically would have been overlooked.  We’ll be using TSR Property Solutions for our next project! After working with Tamika and the TSR Property Solutions partners on a number of projects it is plain to see why they are the leaders in their industry. Their processes and attention to detail are exceptional and their industry knowledge is honest and insightful. Tamika’s drive and energy is very addictive and she keeps her team on tie, on budget and accountable at every step of the way. I’m happy to confirm that your services to us included valued assistance in affordable housing. Specifically meeting a cost effective development & construction solution for the needs of our end users with disabilities. The affinity to help meet a solution for our particular needs is clearly driven by much more than just a commercial interest. These are market sectors where there is very strong social need and your continued contributions make a genuine difference. I’m happy to recommend your services to any organisations in these sectors.